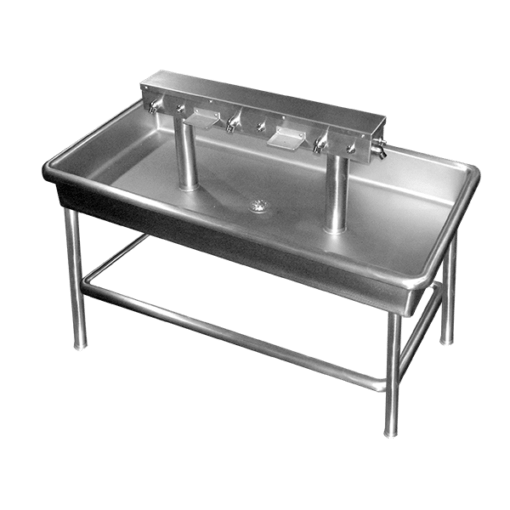 The Willoughby CWIS-Series Commercial Island Sink is a multi-user, stainless steel fixture for vandal-resistant commercial use. Willoughby CWIS-Series Commercial Stainless Steel Sinks are multi-user, stainless steel island sink fixtures for vandal-resistant commercial use. 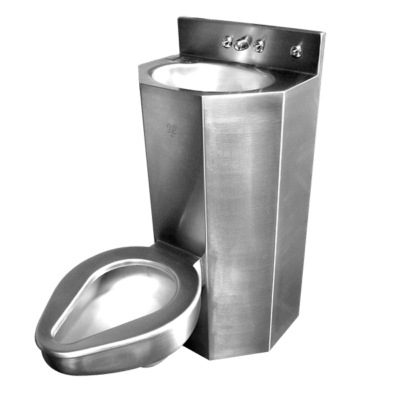 Fixtures are all-welded, fabricated from 14 gauge and 12 gauge, Type 304 stainless steel polished to a #4 satin finish. 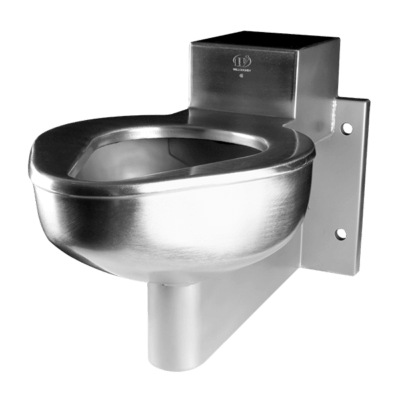 Standard CWIS-Series fixtures come with a long rectangular sink bowl, rectangular faucet head assembly, 1-1/2” O.D. support legs, beehive strainer drain w/ 4” x 2” O.D. tailpiece, and faucet holes for 6 or 8 separate stations (verify dimensions, faucets by others). 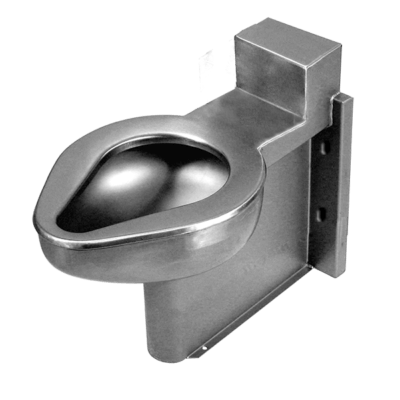 All connections between the outside plumbing and the CWIS fixture are made underneath the free-standing, vandal-resistant, stainless steel fixture, with anchoring through the support leg flange mounting holes (anchoring hardware by others).